Morehouse College was awarded a Targeted Infusion Project grant entitled: Creation of a for Credit Online scientific Literacy Pre-freshman Summer Bridge Program (Award #1818618) on April 16, 2018. This highly innovative project will create a new category of problem-based learning products designed to facilitate student understanding of the scientific research process by using a virtual laboratory to simulate a research experience. The program will begin May 15, 2018, and run through April 30, 2021. Anticipated outcomes from this virtual research experience include increasing students’ critical thinking skills, intrinsic motivation, self-management skills, utilitarian scientific literacy, and intent to persist in STEM careers. The new category of problem-based learning products that will be created to infuse into the online Scientific Literacy course will occur by modifying an interdisciplinary Research Simulation Case Study (RSCS) entitled Brain-Eating Amoeba. The RSCS is a faculty-mentored experience that requires a student to solve a research case study by assuming the role of a research scientist. The RSCS Brain-Eating Amoeba will be facilitated by a virtual embodied conversational agent (ECA), instead of a live faculty mentor. This computer-generated character is created from the face of a real individual and demonstrates many of the same properties as human face-to-face conversation, including the ability to produce and respond to verbal and nonverbal communication. An embodied conversational agent-research simulation (ECA-RS) case study will be created by combining ECA technology with the comprehensive, interdisciplinary Brain-Eating Amoeba RSCS. The Historically Black Colleges and Universities Undergraduate Program (HBCU-UP) through Targeted Infusion Projects supports the development, implementation, and study of evidence-based, innovative models and approaches for improving the preparation and success of HBCU undergraduate students so that they may pursue STEM graduate programs and careers. The addition of the Brain-Eating Amoeba ECA-RS to the online course will enable its transition to a for-credit course that will be offered at no cost during the Pre-Freshmen Scientific Literacy Summer Bridge Program as an incentive for pre-freshmen to participate. 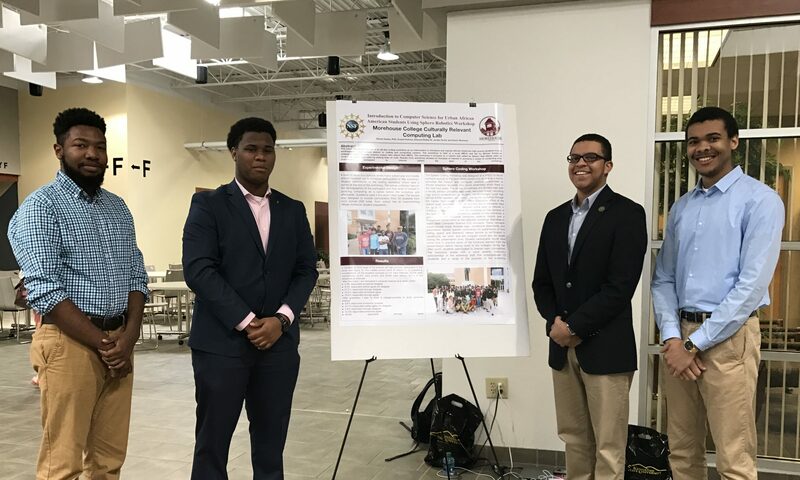 The successful implementation of this program at Morehouse College will increase retention and ultimately graduation rates of African American students graduating with STEM degrees and entering into the national STEM workforce.